Ch-ch-chain of fools? None here! 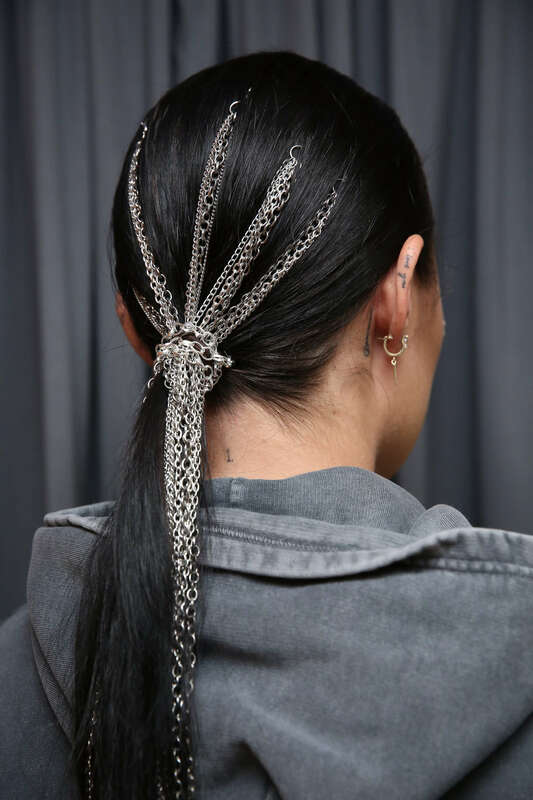 The sleek, chained locks and gelled hairlines that adorned the models at Christian Siriano’s Fall 2019 show were surprisingly as wearable as they were fierce. Most relevantly, though, they came just in time for bookmarking on our phones come festival season. 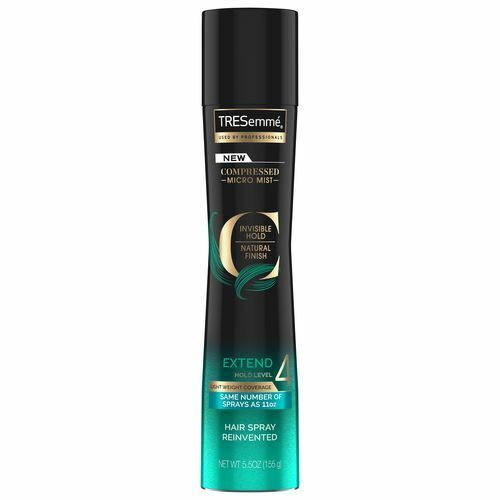 Step 1: Prep hair with TRESemmé Repair & Protect 7 Pre-Styling Spray and TRESemmé Keratin Smooth Shine Serum before blow-drying. Step 2: Straighten hair from roots to ends using a flat iron and a smoothing brush. 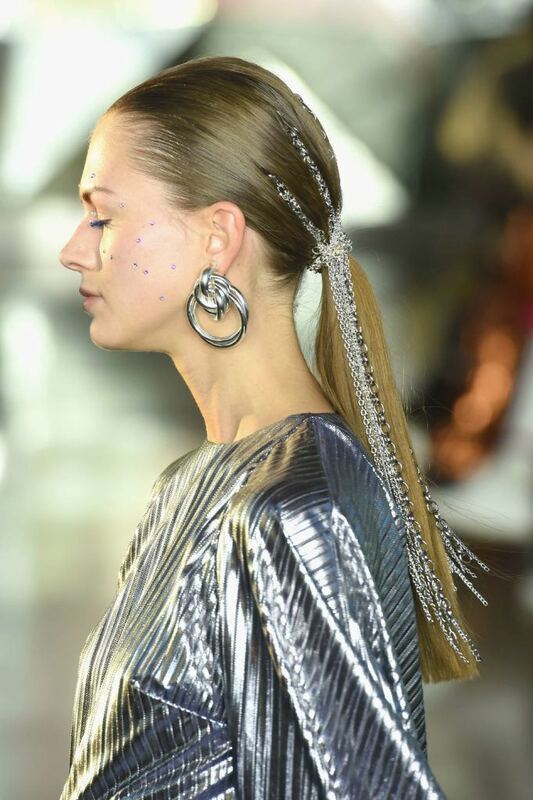 Step 3: Section off a horizontal, headband-style part from ear to ear and clip up and out of the way. 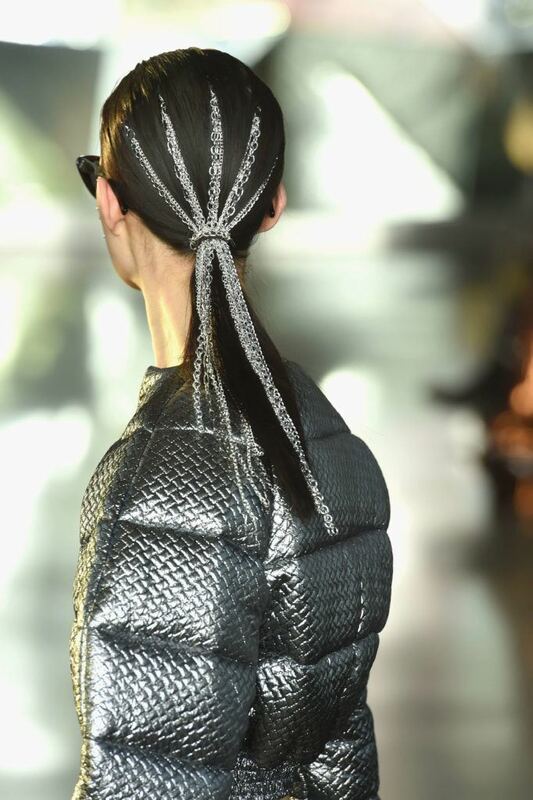 Step 4: Create a tiny Dutch or cornrow braid from one side to the other, then secure with an elastic. This will serve as the anchor for your chains. 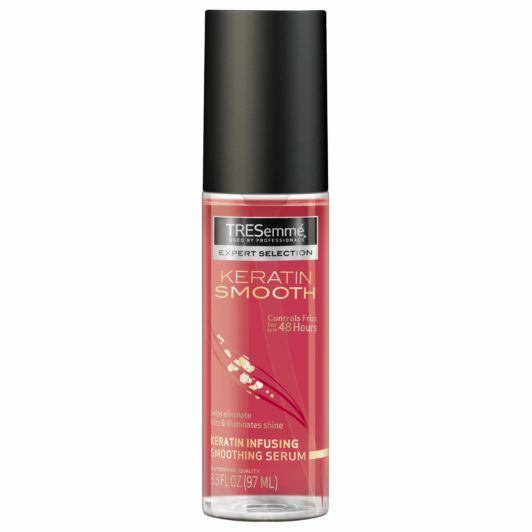 Step 5: Gather hair into a low ponytail, smoothening any kinks and flyaways with TRESemmé Keratin Smooth Shine Serum. 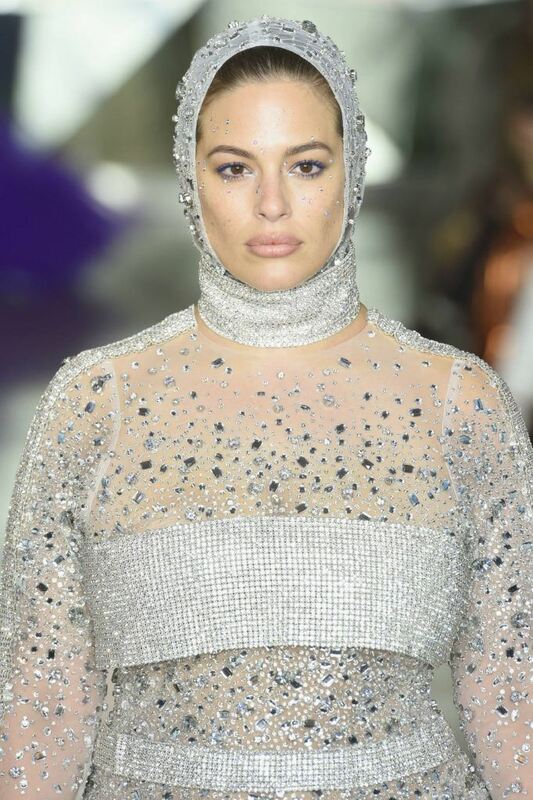 Set in place with TRESemmé Compressed Micro Mist Extend Hold Level 4 Hair Spray and a smoothing brush, then secure with an elastic. 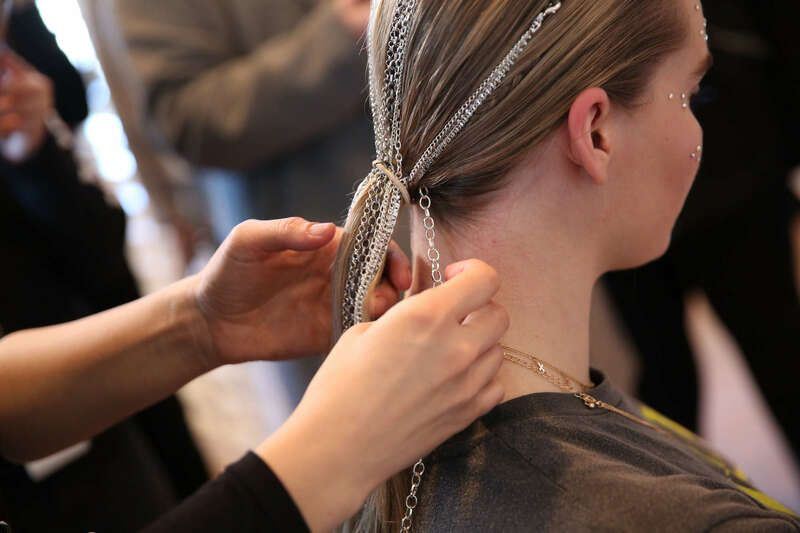 Step 6: Attach 10 chains to the braided section, then un-clip the top section to let your crown loose to cover the braid. 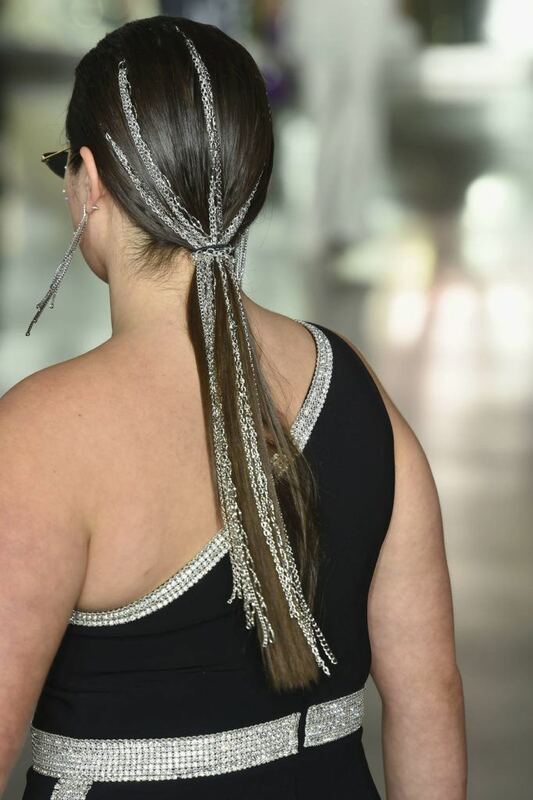 Gather your now-chained locks into your existing ponytail and re-secure with another hair elastic or hair bungee. 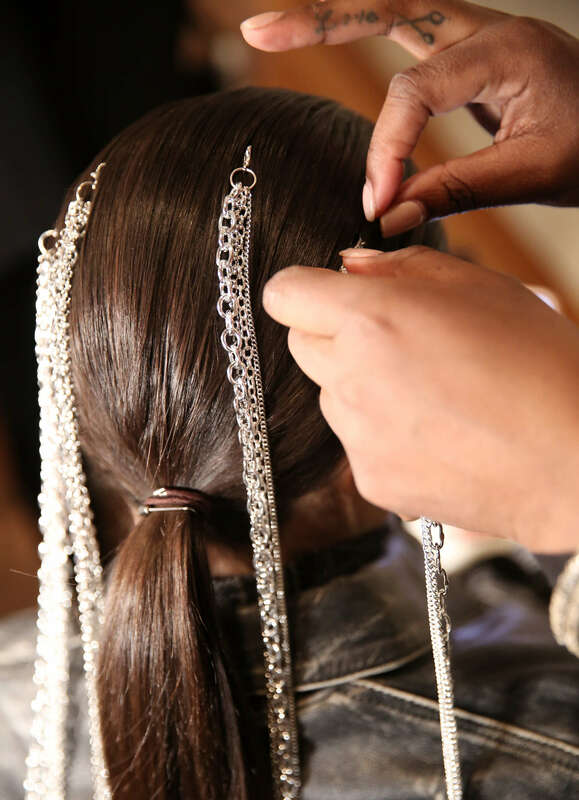 Step 7: Wrap a final piece of chain around the elastic to conceal, then finish with TRESemmé TRES Two Unscented Extra Hold Hair Spray to seal everything in. 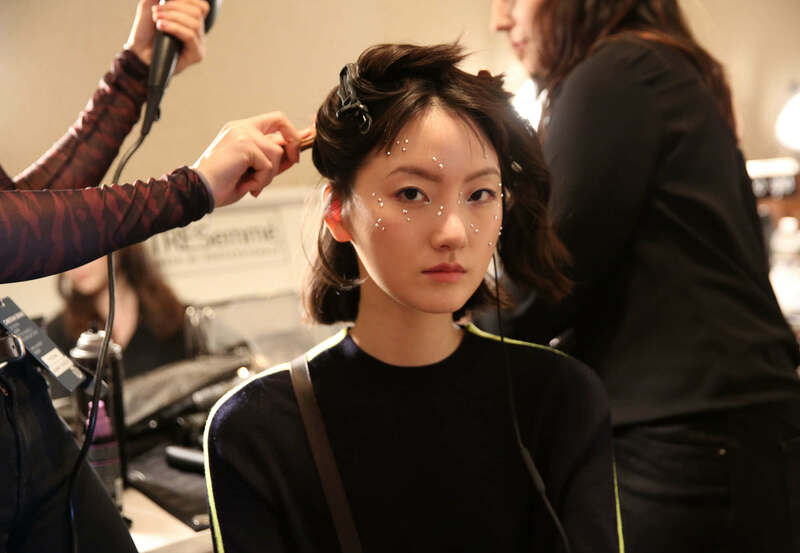 Check out more NYFW backstage coverage here.